Sherriff, A. (Ed.). 2014. 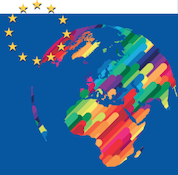 The European Union's international cooperation: Recent developments and future challenges. (Policy Management Report 20). Maastricht: ECDPM. The European Centre for Development Policy Management (ECDPM) aims to link policy and practice in international cooperation. This book seeks to explore the dilemmas facing the European Union as it aims to reconcile its values and interests in a changing world. These challenges will be relevant for the next leadership of the EU institutions and throughout the EU’s budgetary period of 2014-2020. The increasing linkages between international relations and development policy has created a new agenda for international cooperation. For the European Union and its member-states to remain relevant and influential in a world driven by globalisation, the rise of middle-income countries and one of the longest recessions in recent history, it must respond to these changes and address the challenges upfront. This book explores these issues to give readers an overview of current developments and future challenges. ECDPM strives to go beyond analysis and provide realistic options to bridge the policy to practice divide and not shy away from the political fundamentals that have to be addressed. The book covers issues such as the implementation of the EU’s new development policy the Agenda for Change, EU joint programming, budget support in fragile states, EU support to transition, and engagement with middle income countries. In addition the book looks at the Mali crisis and EU-Africa relations, and the future of ACP-EU relations as well as a specific section on recent developments in Policy Coherence for Development. The developments and dilemmas presented in this book paint a picture of considerable evolution in the EU’s international cooperation agenda and policy. Despite adaptation and change, persistent questions are still raised of whether the EU is moving fast enough with regards to implementation. This book explores particularly the challenge of bridging the policy to practice divide – a key consideration for a more effective European response to global challenges in the future.